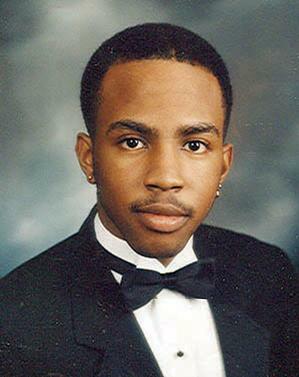 On Sunday, November 4, 2001, the body of Antwone Jones the son of (JJ & Regina Jones, publisher of The Fayetteville Press Newspaper) was discovered in a wooded area on Gillis Hill Road near the Hoke County Line. Jones died as result of a gunshot wound and was last known to be alive around 1:00a.m. on the morning of Saturday, November 3, 2001. Sheriff’s detectives believe Jones was in the parking lot of Morganton Place Apartments in front of building 135 around 1:00 a.m. when he met his assailants. Jones was operating his 1989 burgundy Honda Accord, that was found 4 days after his death in a wooded area Off Bunce Road Area. Antwone Jones was wearing a blue New York Yankees baseball cap, one diamond studded earring in each ear, a blue long sleeve pullover shirt with the words "Polo Jeans" on the chest in red and white letters, baggy jeans and white Nike athletic shoes. Antwone Jones was approximately 5ft 8inch, 155 pounds. There is an $8,000 reward being offered to anyone with Information leading to an Arrest & Conviction of The Killer(s) of Antwone Jones. All information will be kept confidential. Please call CRIMESTOPPERS AT 483-8477 OR SHERIFF DEPARTMENT at (910) 323-1500.